How to meet people when travelling! “Just because you are travelling alone doesn’t mean you have to be lonely” is a quote you’ve probably seen a thousand times when reading about solo travel. But we can’t stress how true that is! By following our almost effortless tips below on the different ways to meet people when travelling alone in New Zealand, you will find some travel buddies in no time! Believe it or not, you are not the only person who has decided to travel solo in New Zealand. There are other travellers from all over the world doing exactly the same thing and are just as eager to meet new people. This isn’t like it might be at home, where the very notion of speaking to a stranger is returned with looks of horror and disgust. 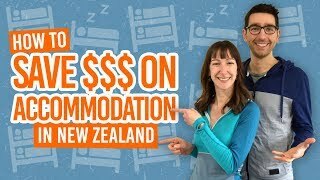 You know fellow backpackers are open-minded by the fact that they are doing the open-minded act of exploring a new country, and Kiwis have a worldwide reputation of being welcoming. You might have started this trip to New Zealand alone, but it doesn’t have to be a trip you do alone if you don’t want it to be. Simple enough, right? It’s no secret that alcohol is the ultimate social catalyst. Nevertheless, whether you are drinking or not, (Kiwis and other backpackers in New Zealand are not usually judgemental), you can still have a fun night out. To make meeting people even easier go to bar events. Many bars have pool contests or quiz nights where you’ll get to play with people that you have never met before. Plus, backpacker bar crawls are practically made for travellers to meet other travellers! It seems all too obvious, but it works! Remember, your hostel is practically a base for like-minded backpackers – many of which will be travelling alone too. Don’t be afraid to talk to your roommates, strike up conversation in the kitchen, or join in on a card game in the common room, for example. Asking people if they want to come with you for a walk or a visit to a museum is a great way to find a travel buddy for the day. (This mostly works with Free or Cheap activities, though). Food is always a winner too! Offer a meal to someone when you have made too much or asking to borrow some salt when you have finished yours is a good icebreaker. Travelling New Zealand by hop-on hop-off bus, like Kiwi Experience, or a bus tour is the most sociable way to transport yourself around the country. You are instantly teamed up with a group of people to travel and do activities with. Make sure you read up on all your different options on our Bus Travel Tips section. Because we know that the backpacker community is tight and loves sharing tips, we have created a Facebook group that is free for all to join. We love the fact that you guys are sharing your tips, asking for rides, looking for travel buddies, and even selling your cars all in one place. Plus, if you have some more complicated questions that nobody can answer, we will answer them for you! For more tips, see 15 Simple Tips to Kill It on Backpacking Facebook Groups. Bonding with your coworkers over how annoying your boss is is one of the best ways to create long lasting friendship… Most of the backpacker-type jobs involve teamwork, which is the perfect excuse to spend time with other people. Plus, the money helps since you won’t be too broke for that pint after receiving your first paycheck. Kiwis are really big on that “Friday drinks” thing. It’s hard to not meet locals when you are living with them! WWOOFing is working with a family or on a farm in exchange for food and accommodation. You’ll get to bond with the family and/or other volunteers. Find out more at Everything You Need to Know About WWOOFing in New Zealand. Renting a room in a house or flat with other people is another great way to meet more people while you are on a working holiday alone. When you have a job, stay in some longer-term accommodation with others so you: a) save money and b) have some people to hang out with after work! For more tips on how to find shared accommodation, check out our Long-Term Accommodation section. If you want to meet people right from the beginning of your working holiday, then there are many working holiday companies that you can arrive with in New Zealand along with other backpackers. Not only are there people usually doing the program with you, but the programs also offer tons of support services throughout your gap year. You can find more information on New Zealand Gap Year: Use a Working Holiday Program or Do It Yourself? For the social side, we recommend Working Holiday Starter who put their members in touch with each other all over New Zealand, so there is a fellow backpacker to welcome you when arriving in a new town. More travel tips for the solo backpacker! Check out these articles for solo travelling in New Zealand.